Disclosure: I received some of these products for free in order to facilitate my review for this post. All opinions are true, and my own. I start every day with a hot cup of coffee – that steaming, aromatic, delicious cup of Joe helps set my mood for the day, adding a little skip to my step when done right. 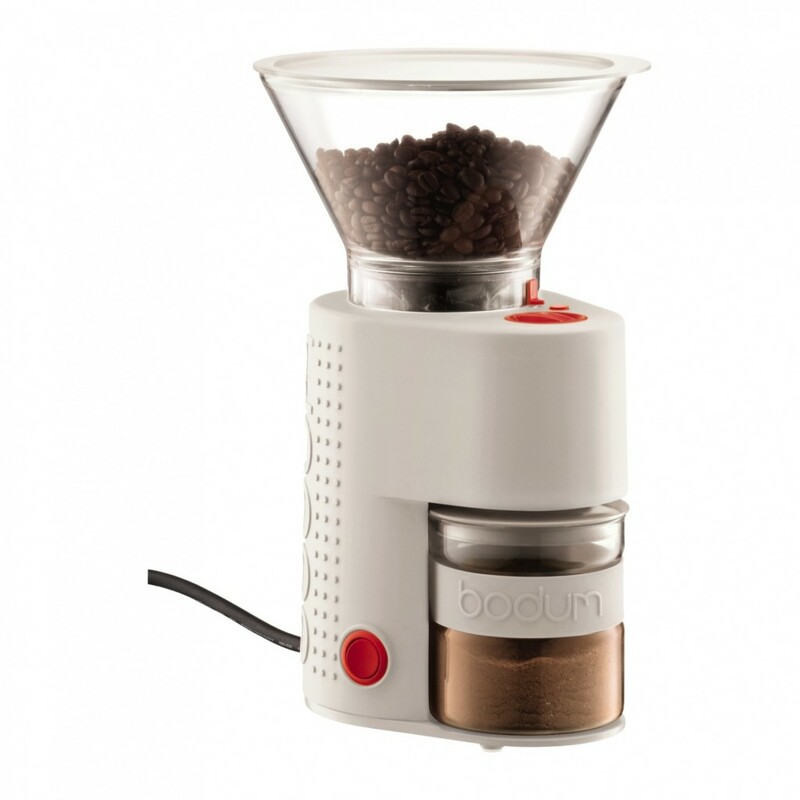 I love that the Bodum Bistro Electric Coffee Grinder crushes, rather than slices, coffee beans to preserve the beans’ natural flavor, and offers 14 grind settings, adjusting to deliver the proper grind for any brewing method. This grinder also sounds quieter than many I’ve tried, thanks to the its borosilicate glass catcher, which reduces static that causes jumping coffee grounds! The push-button, timed operation sees to it that I enjoy creating a truly amazing cup of coffee each morning. The Fresco Twist and Go bottle elevates Aladdin’s already incredible drinkware lineup. 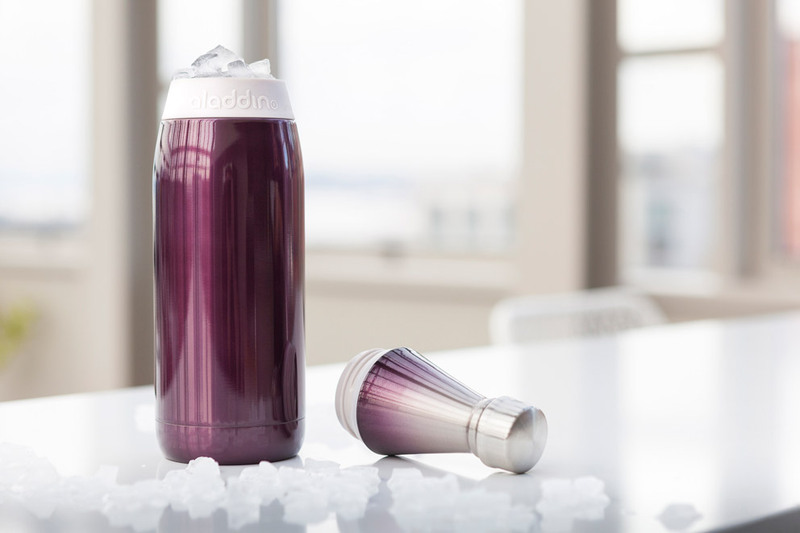 Crafted with double-walled aluminum, this gorgeous bottle keeps drinks cold for up to 16 hours if we add ice (which proves super-easy with the twist-off neck), or warm for 8 hours, whichever strikes our fancy. We toss this leak-proof, vacuum-insulated bottle into our purse with confidence, using it to hydrate all day long until we pop it into the dishwasher for a wash. 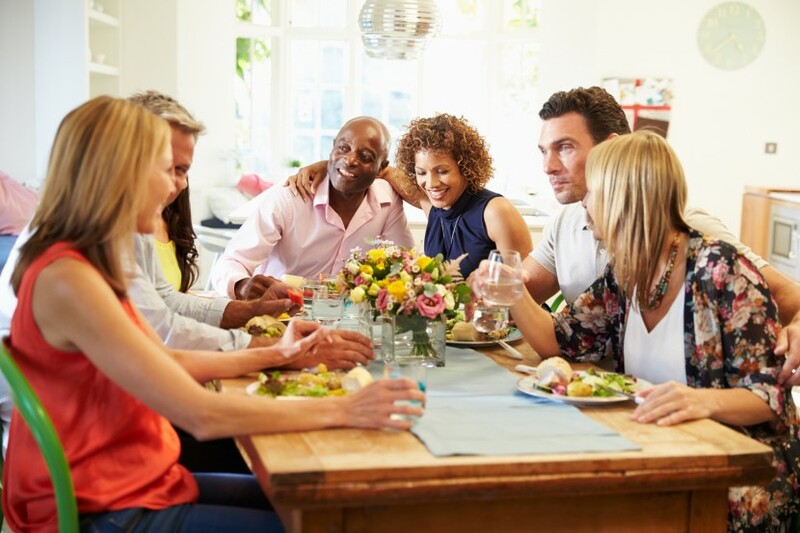 The folks at PureWine believe that “life has enough headaches” so sought to eliminate the sulfates and histamines in wine that cause annoying side effects. With one swirl of The Wand, its filter helps us avoid the headaches, flushing, and other negative reactions some get when enjoying a glass. 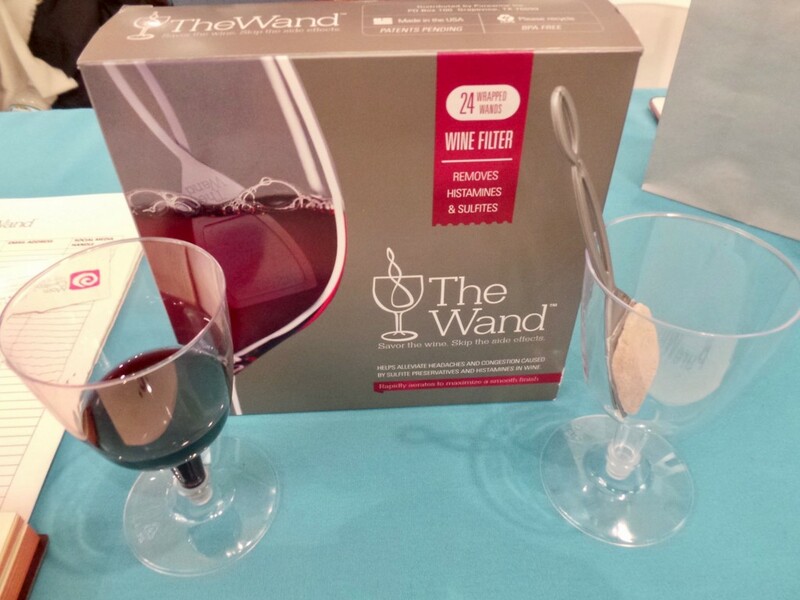 If you love wine but hate the side effects, you’ll want to spend the few extra dollars per glass on The Wand. Little compares to the feeling of holding, and using, a high-quality and well-designed item. 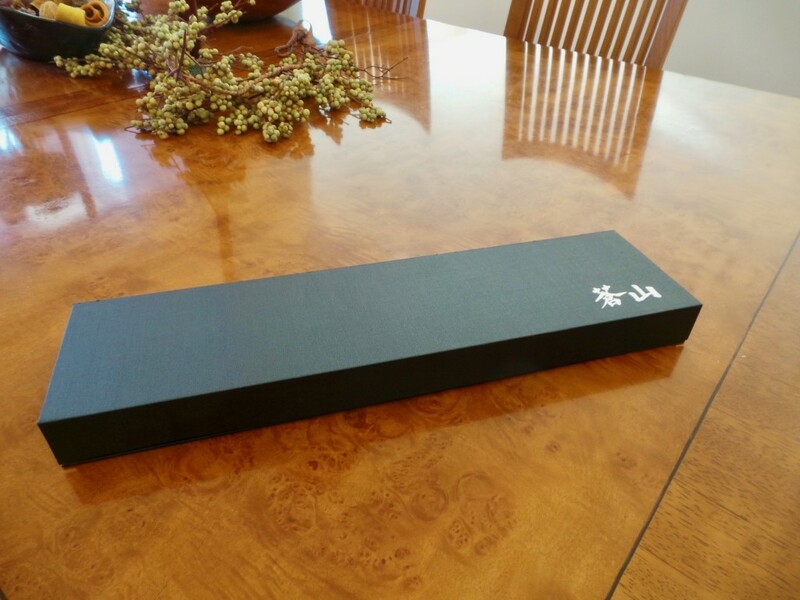 I was struck by the beauty of the Cangshan S1 Series German Steel 8-inch Chef’s Knife while unboxing it, and felt my cooking game elevate the first time I used it. The knife’s design focuses on excellent balance and optimal comfort, with the angled bolster design aligning comfortably, accommodating a natural and firm pinch grip. I loved the feel of the weight of this knife in my hand, which felt both relaxed and secure at the same time. 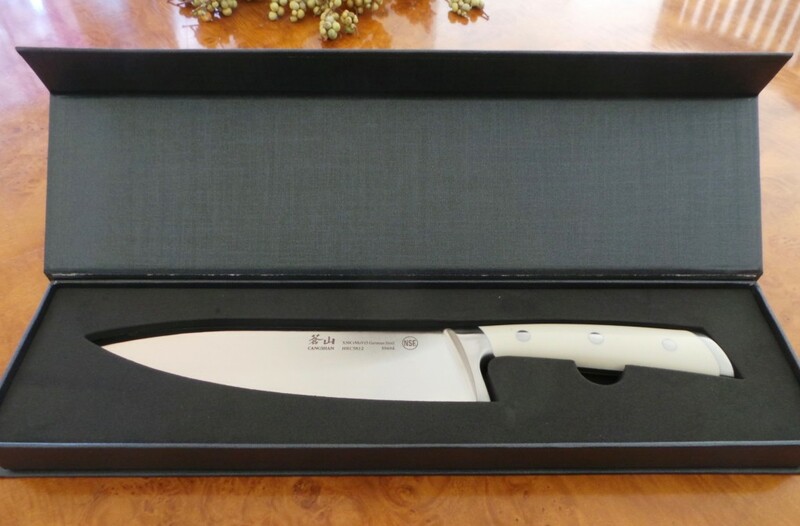 Slicing all kinds of ingredients proves a breeze with Cangshan’s S1 Series expertly hand-sharpened, German-sourced stain resistant high-alloy 8-inch blade.